Tozando proudly introduces the brandnew Kendo Shinai and let’s take a look at the new arrivals and see what sets them apart from the rest. First up we have the Tokuren. This shinai is unmistakeable with its completely straight and slim profile. 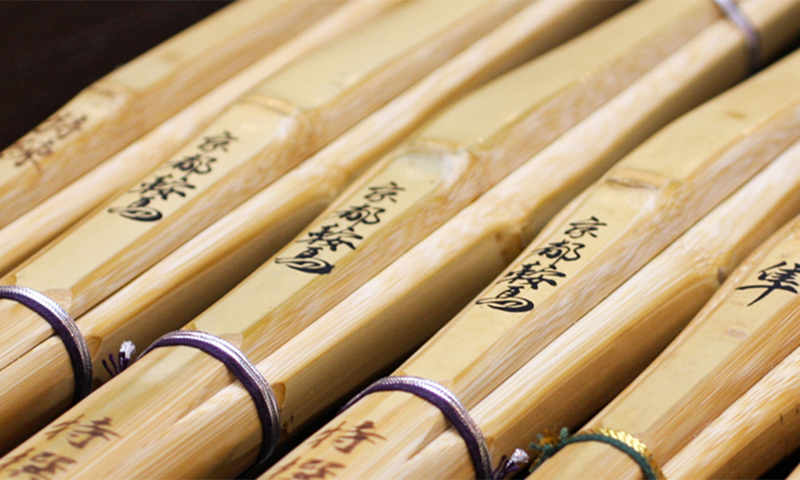 Made from four dense staves of madake bamboo that form a disnct cross at the tip. The shape and balance lets the Tokuren cut through the air easily with plenty of momentum – large and definitive cuts are the signature of this koto shinai. Next up we have the Hayabusa. This jissengata has a tapered body and really slim upper section. This keeps the balance towards the hands, but also gives it a very shallow profile letting it cut through the air smoothly. 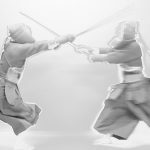 This results in a very versatile jissengata that emphasises the fast and precise strikes the style is known for, but also caters for large quick strikes towards your opponent’s men. This is an excellent shinai for competitive shiai as it gives you a lot of options and emphasises speed. It can also come in a short grip version for kendoka who have shorter arms or prefer to get up close with a lightning fast do strike. Then we have the Raiden – our ultimate dobari shinai. This features one of our broadest bodies couples with a slim jissengata kensen – the light tip and broad base firmly shifts the balance towards your hands. Kendoka who like a fast tip that can react instantly to their opponent’s movements should look no further than this shinai. 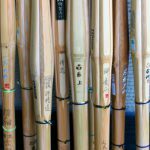 Finally we have the Kyoto Kurama – a jissengata shinai made from Japanese Madake bamboo just like the Tokuren. This bamboo makes the Kyoto Kurama especially durable and when striking delivers excellent feedback and sound. It’s balancing favaours fast and precise striking as well as consectuive techniques. You can further fine tune its responsiveness by increasing the tsuka diameter. The standard version is 26mm, but you can increase this to 28mm and even 30mm. The broader the grip the lgihter and more responsive the tip becomes.